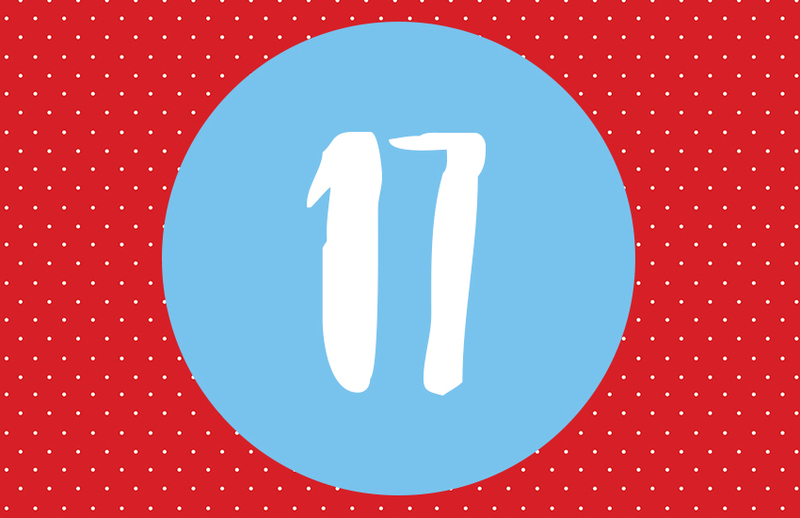 How are you enjoying our crafty Christmas advent calendar so far? Here’s another treat for you! For Day 17, we’re giving away some free Christmas tag templates and will be showing you how to make super cute Christmas Shaker Tags – perfect for adding some sparkle to your gifting this festive season. If you’re still in the process of wrapping Christmas presents, then we have the perfect free download for you. We’ve got some great festive tag templates for you to cut out, get creative with, and to use on all of your gifts. These fun tag designs – including a Christmas jumper shape - are perfect for personalising your gift-giving over the holiday season. You can also add some festive cheer and sparkle to your gifting with our Christmas shaker tag tutorial, using the traditional tag shape template. 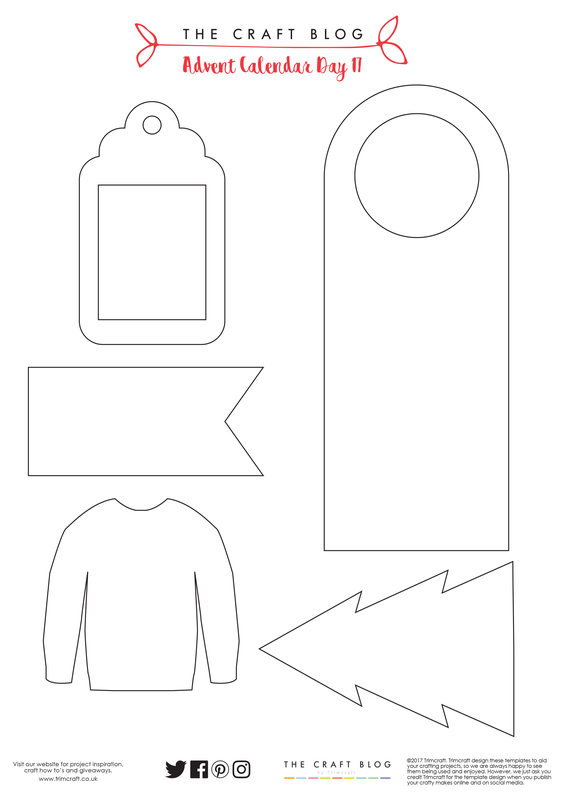 1.Cut out your free tag template and trace this onto a sheet of Dovecraft’s The Magic of Christmas paper - we chose the festive checked design. Cut out two tag shapes from the paper, making sure to cut out the rectangular window from the centre. 2.Cut out two pieces of Dovecraft acetate to fit the size the windows in the tag shapes. 3.Placing the tag shapes face down, adhere the acetate to the back of the tag shapes using double-sided tape. 4.Attach double-sided foam tape around the window of one of the tag shapes, making sure not to leave any gaps around the acetate. 5.Place some sequins and glitter on the acetate of one of the tags and remove the backing from the foam tape. 6.Carefully line up the other tag shape on top, and adhere. 7.Adhere Simply Creative alphabet stickers to the acetate – we opted to spell out the name of the recipient - and punch a hole in the top of the tag in order to thread twine or ribbon through. 8.Adhere a mini bow below the punch hole for some extra decoration. 9. Thread Christmas ribbon or twine through the hole and attach to your wrapped gifts or gift boxes! We also decorated the bottle tag template. This project is super easy, simply cut out the template shape from festive paper, decorate (we chose Simply Creative gems and alphabet stickers), and then use a scoring board to create a fold. Now hang the tag over a bottle that you’re planning to gift! We’d LOVE to see how you use or free tag templates, so don’t forget to #tcxmas2017 when uploading to social media and to share your makes in the Inspiration area. What an awesome idea to make the tags as shakercards, it looks just fabulous. Can´t believe why I haven´t thought of that before, especially as I love shakercards ha ha. But thanks sooo much for the idea, I´m definitely going to try it now.